There’s no denying that we love our coffee and our beer here in Wellington.  I always think of that scene in The Simpsons when Marge attempts to order a coffee in an Australian pub as representative of Wellingtonians’ collective inner dialogue (“C-O…” “B-E…”). When it comes to the amber stuff, there’s no better event than Beervana to celebrate and indulge in the ever-growing world of craft beer. 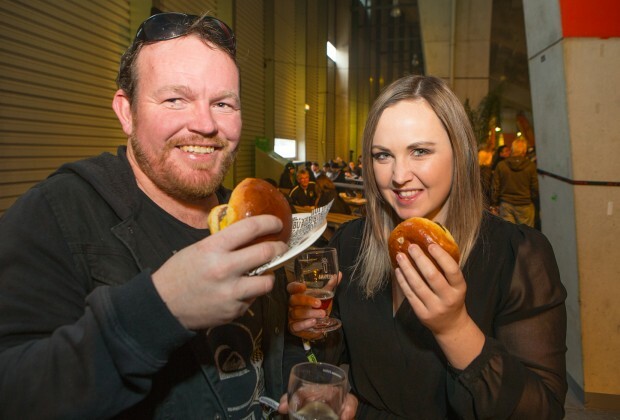 Now in its 15th year, Beervana has grown from rather humble beginnings as a comparatively modest gathering of craft beer lovers at Wellington’s Town Hall, to a high-profile event that attracts visitors from as far as Australia. More than 60 brewers will be offering 300-plus beers this year, from local favourites to exclusive samples of international brews, including some from Portland, Oregon, our sister city in craft beer. This year also sees an increase in the number of South Island breweries crossing the strait to join the fun. About 20% of the brewers at Beervana this year are new kids on the block; some have only been brewing for about a year, others are launching beers at the festival. One such brewery is Tiamana, returning to the Beervana for the second time to premiere a new German IPA. Brewer Annika Naschitzki says she’s looking forward to sharing her take on the popular style, which is big and fruity thanks to the use of German mandarina hops. 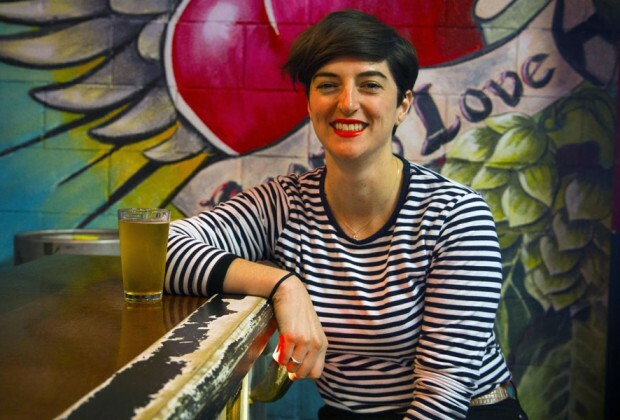 Born and raised in Berlin, Annika’s love of beer was bolstered when she moved to Wellington in 2010. After a crash introduction to the sheer variety and quality of beers being produced by local brewers, Annika realised that there’s so much more to beer than the humble Pilsner, the Berliner’s beer of choice. Tiamana (the Māori name for “Germany”) brings classic German styles to the dynamic landscape of Wellington’s craft beer scene. For the last few years, brewing has been a personal passion for Annika, whose father was a brewer at the iconic German brewery Schultheiss. She started brewing with a small kit in the kitchen of fellow brewer Llew Bardecki from Wild and Woolly Brewing (who will be sharing a stand with Tiamana at Beervana), but now they both brew from their own shared premises in Mt Cook. 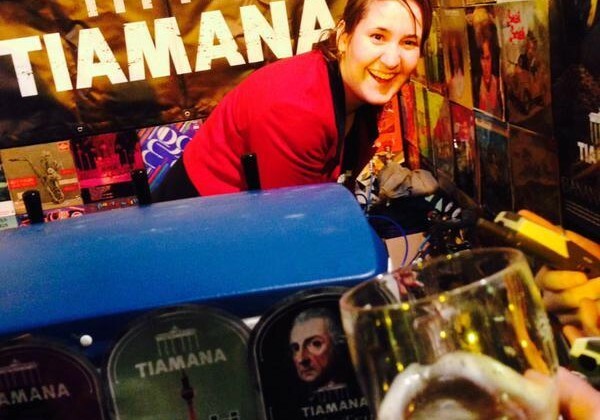 After some trial batches and small festival releases, Tiamana’s classic German-style beers made their major public debut in Wellington bars in March last year. Their sour Berliner Weisse is one you’ll have to look out for, though you won’t miss it with its eye-catching emerald hue. Annika adds sweet woodruff to the beer to offset its sourness and to give it its unique colour. Also returning to Beervana for a second year in her capacity as festival manager is Beth Brash, who is hoping to replicate and expand on the success of last year’s well-received festival. Beth is well known among craft beer circles for her stentorian love and support of craft beer. It’s through meeting and talking with brewers as a writer that her own appreciation of craft beer has grown over the years. Beth is a firm believer that there’s “a beer for every human, and a human for every beer”. I sat down with Beth (over a couple of pints, naturally) to have a chat about what it takes to bring together the nation’s largest craft beer event. What’s the most exciting change or development about this year’s Beervana? There’s all these really cool little things that we’re doing at the event itself, but what’s really exciting is there’s a lot of stuff in the background to make Beervana for the brewers – because if they’re not having fun, if it’s not working for them, then a Beervana without brewers is an empty stadium. That’s been a huge focus, and what has been really exciting is the flow-on effect of that – just how excited everyone is and how much they are invested in bringing a crazy, amazing festival experience for everyone. They’re just as excited and are bringing their A-game as well. From a festival point of view, for years and years we’ve been kinda snaking further and further around the stadium concourse, and actually to go all the way around this year is incredibly exciting. 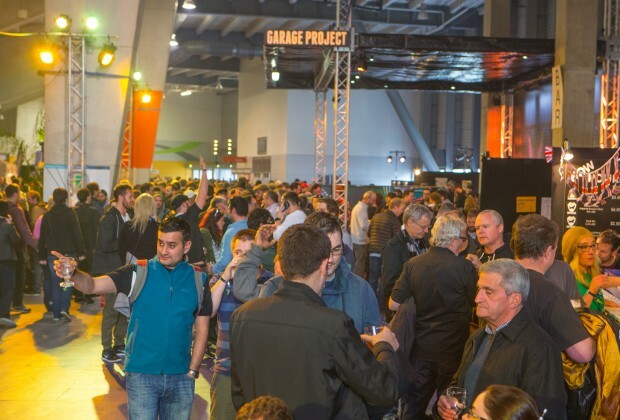 Beervana, being in its 15th year, is a kind of mirror of the whole industry as well. We just all drink better beer now. Everyone’s just excited about this new wave of just awesome beer. Because a few years ago people were still divided – you had the “real beer” drinkers and the people who drank the “flowery” craft beers. But as you’ve said in other interviews, it’s no longer a niche – the outside is becoming mainstream. The ones that people are going to recognise. Yeah, but it’s all together and you can try one and you can try the other. I think that’s really cool because it puts everyone on an even playing field. What’s your biggest challenge as manager of Beervana in bringing this festival together? Trying not to wake up at night and run through my to-do list at 3 in the morning! Maybe I’m seeing it through these rose-tinted glasses – or amber-tinted glasses – at the moment, where this year compared to last year is so much easier, because of that excitement from the industry – everyone is just as invested in it. Last year, we really had to prove ourselves and that was incredibly challenging. Probably the biggest challenge for me is making an event that works for the industry and therefore works for everyone. Of the breweries new to Beervana this year, who are you most excited about showing off to Wellington? I’m really excited about McLeaod’s. They’re up in Waipu and the brewer, Jason Bathgate, is ex-8 Wired. They’re just doing amazing things. Craftwork – who I’ve talked about – Lee-Ann and Michael, an amazing couple doing world-class beers in a basement in Oamaru. It just blows my mind. Peckham’s – they’re making really good traditional cider, really dry crazy-good cider and they’re amazing people. And Choice Bros. Kerry from Choice Bros is building his brewery at this stage, but it’s his first time at Beervana, he’s got a double stand and he’s really going for it. He’s got some really great ideas, some really funny ideas around how to show [his beers] off. That’s the thing – it’s an industry that is growing and growing with more and more breweries. Yes, it’s about good beers, but it’s also about having a point of difference. 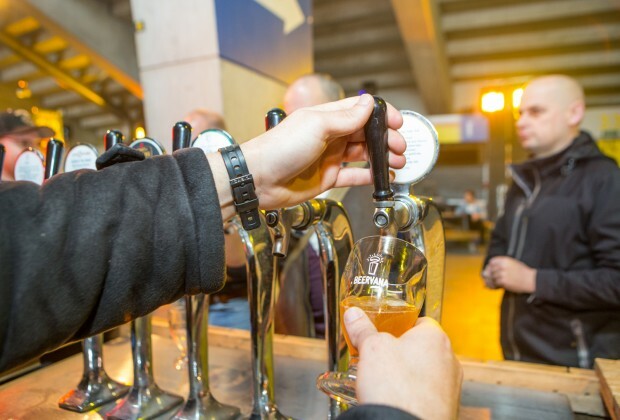 That’s what’s really cool about Beervana – it’s not like going to a pub and the beers are all on tap – the brewers are there behind the taps and you get to meet them. Their personality is just as much part of their beer as anything else. Also, I think more than anything it reflects the fun that a festival should be. Everyone’s got these crazy ideas about the themes of their bars, or interactive elements of their bars. Road to Beervana features some really exciting events this year. 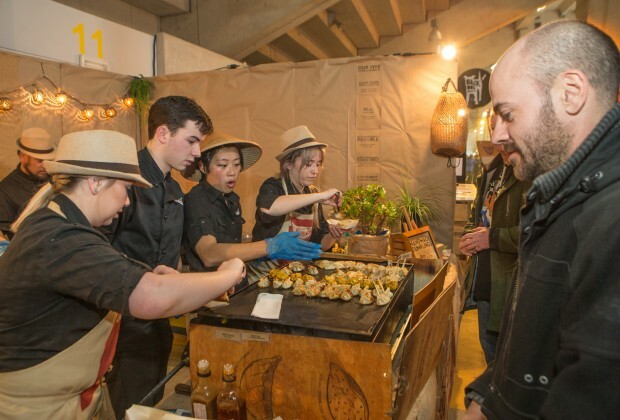 What’s great about Road to Beervana – and it’s like this holistic thing – Wellington’s an incredibly beer-obsessed city and we’ve got all these amazing bars and restaurants that love beer and so they want to get involved. Last year, 35% of [Beervana attendees] came from out of town, which is pretty amazing.  There’s all these people coming to Wellington, and after Beervana last year I realised how amazing this is. I really like the idea of making Wellington the destination for beer, the whole city just frothing with beer-related events. It’s part of the whole offer; it’s building on the whole experience. What can you tell us about the Road to Beervana events? The Great Beer Debate will be reasonably light-hearted, and it’ll be about “The War of Independence”. On one side we’ll have the Brewers’ Association – “big beer”, as they say – and on the other side we’ll have very staunchly independent brewers. What does it mean if you’re brought by a bigger brewery? Hopefully we’ll open up the debate around that. We’re just locking in the panel, but we’ve got one guy from [one of the visiting Oregon breweries], so there will be an international view. Battle of the Brewers is five breweries from Oregon versus five breweries from New Zealand, who will each match one of their beers with five courses at The Bresolin. The idea is a bit like Ready, Steady, Cook – people will vote for who’s done the better beer match. 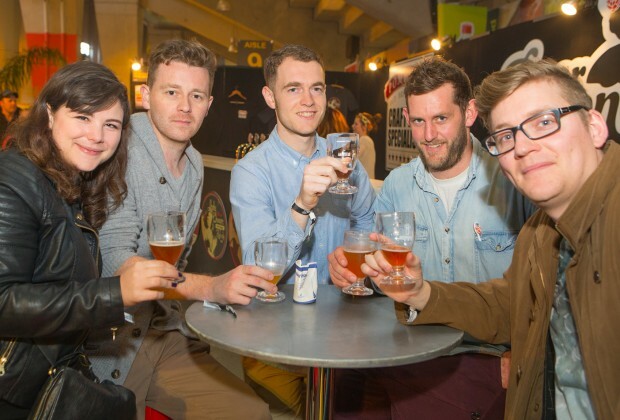 And what about New Zealand’s Hottest Home Brewers, which is new to Beervana this year? In the past, our homebrew competition was very serious, so we thought how about we do something that is more accessible? It’ll be like beer Olympics at the first session of Beervana – we’ll put on a spectacle and make it more fun and different to other homebrew competitions. Beer is fun. And you shouldn’t take yourself too seriously, and when you do take yourself too seriously it can be a bit intimidating to people on the outside. What are your top tips for a Beervana newbie? Check out the beer list before you go, and the map, and make a little bit of a game plan. Beer festivals are a good way to be a bit more intrepid and really test different styles you may not have tried – you can get a 75ml taste. Keep drinking water. If you’re new to Beervana, this year we’re doing free walking tours. 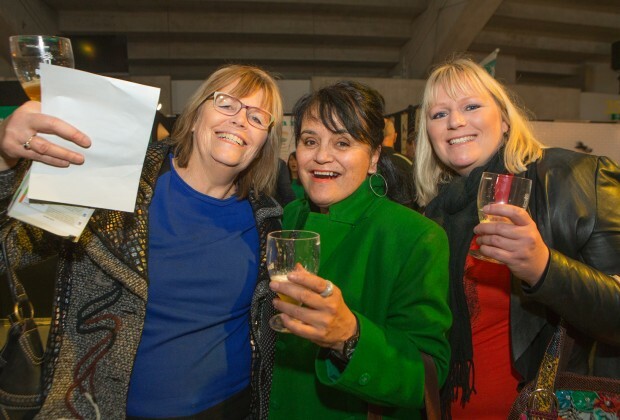 There’s a theme for each tour – you’ll go to different stands and go to the front of the queue cause they’ll be waiting for you, and you’ll get a beer and the brewer will come out and talk about the beer, and then you’ll move on to the next one.